Professors in the biology department are traveling to deserts, rainforests and deep seas in order to conduct their scientific research. Professor Beth Braker is the leader of the faculty consortium that brings students on the La Selva program to the rainforest of northeastern Costa Rica each summer. According to Braker, having an international partner at an established research station is the key to a successful expedition. La Selva is run by the Organization for Tropical Studies, which provides researchers with food, shelter, lab facilities, internet, emergency response and transportation. 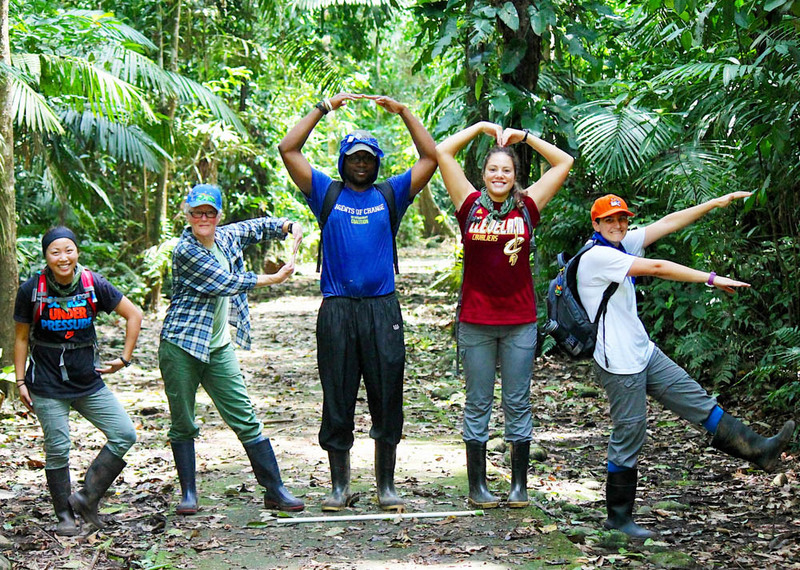 Occidental College students and faculty on a research trip to the La Selva Biological Station in Costa Rica, June 2017. The group studies plants and animals of the tropical rain forest in an intensive and immersive program. 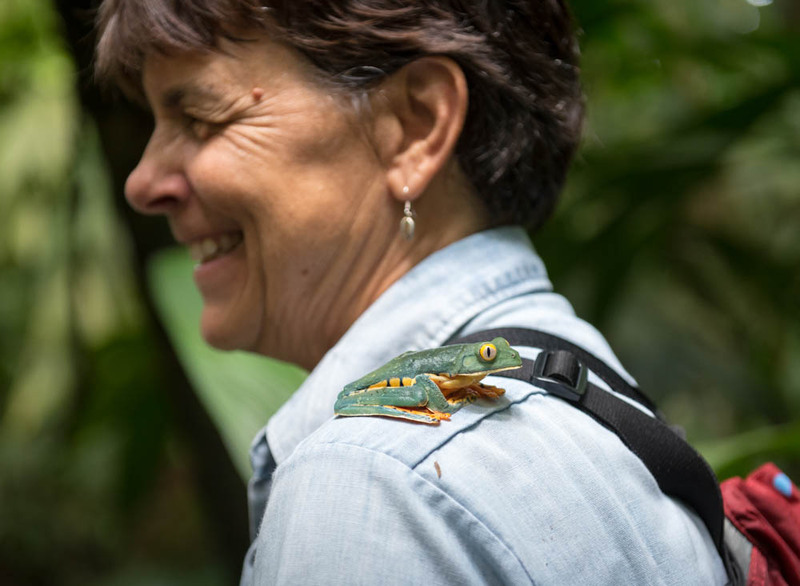 Professor Gretchen North is one of the biology faculty who will travel to Costa Rica this summer. Her research focuses on the way plants deal with stressors, particularly with shortages of water. North goes to La Selva to study epiphytes, plants that reside in the canopy of the rainforest and grow off of other plants. Epiphytes lack roots in the ground, preventing them from having reliable access to water. According to North, Costa Ricans are conscious of their biological riches and protect them as intellectual property. Therefore, permits are required for biology professors conducting research, which North said are not easy to get. North said she’s noticed deforestation in the region for the quick and efficient production of cash crops such as pineapple and palm trees. North said records from the La Selva station show that the dry season has been lasting longer, a result of climate change. According to North, Costa Rica has made key choices to emphasize the protection of its natural resources despite the fact that the country relies on pineapple and palm. Professor Shana Goffredi studies symbiotic relationships between invertebrates and bacteria. Her main focus is on marine invertabrates. She travels to the bottom of the ocean to study deep-sea animals, collect samples and conduct animal and microbial manipulations. 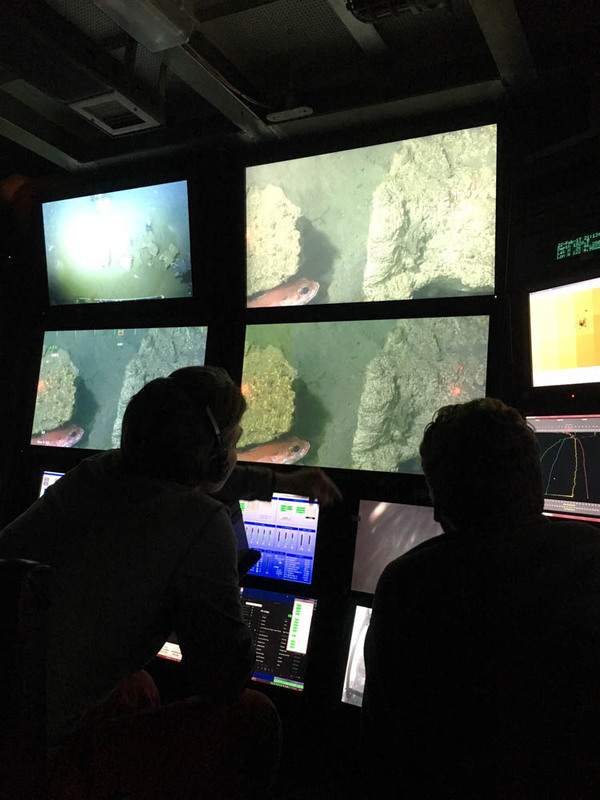 Last semester, she traveled to the Gulf of California off of Baja California, Mexico at a depth of approximately 3,800 meters with the Schmidt Ocean Institute. “We discovered totally new habitats and brand new species living there,” Goffredi said. According to Goffredi, her most recent interesting finding is a worm that lives in a calcareous tube and collects around deep-sea vents. The worm was previously thought to filter feed, but Goffredi’s findings suggest it actually teams up with a methane-oxidizing bacteria to feed. According to Goffredi, the ocean is piling up with trash. 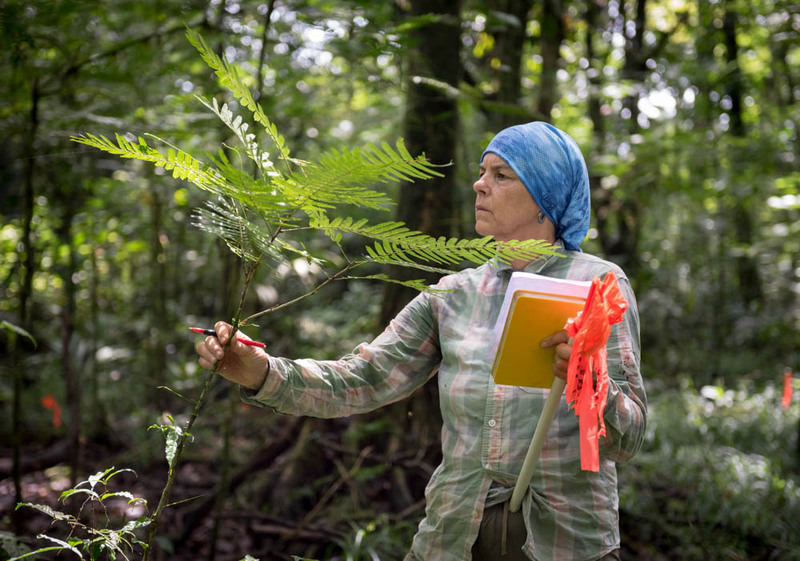 Professor Amber Stubler takes students with her on research trips to the Carribean to study how humans have changed the way ecosystems function. She has traveled to Jamaica annually since 2007 to collect data from seafloor tiles on coral recruitment and get an idea on how the coral reef is changing — whether it is recovering or staying the same over time. Stubler received a faculty-led Richter Research Abroad grant and will take three students with her to Jamaica in June. 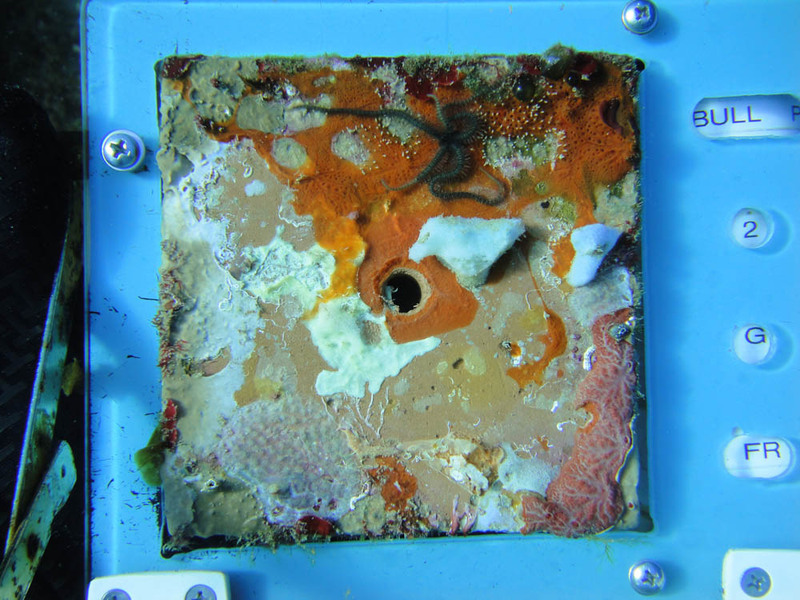 Professor Amber Stubler’s coral recruitment tiles from her research in Jamaica. “We’re going to be able to match the survey data that we collect this summer to the ten years worth of coral recruitment, and it will give us an estimate of whether the corals that we sampled over the last 10 years making it successfully into the coral population,” Stubler said. Professor John McCormack took students to Baja California with a grant from the National Science Foundation to resurvey the sites the birds housed in the Moore Lab were originally collected from. McCormack and his team of ten students and faculty accessed the site by carrying in equipment on horseback, a 5-hour trip to their camping site. “There are literally no people in this mountain range at all,” McCormack said. After two trips to the Sierra San Pedro Martir mountain range, McCormack has noticed some distinct changes, particularly in one bird called the Rock Wren, which has moved up into higher elevations. McCormack thinks this may be a response to global warming. “Birds that were in the desert before have moved up into the pine forest,” McCormack said. McCormack will travel to Veracruz, Mexico at the end of May. On this trip, no students will be in attendance as they have never visited this site before. McCormack said he prefers to take students on trips that have been proven safe in all respects.